Viviscal is an innovative brand producing premium hair growth and hair care products made from the best ingredients. Viviscal supplements are supported by 25 years of continuous research and development with the world’s leading hair growth researchers. The active ingredient in Viviscal supplements is the proprietary marine complex AminoMar®, which was developed in the late 1980s based on the research of a Scandinavian professor. Today, more than 4 million boxes of Viviscal supplements have been sold in 43 countries worldwide and Viviscal is the number 1 hair growth supplement in the US. Loved by a growing army of celebrity fans including Jennifer Aniston, Gwyneth Paltrow, Reese Witherspoon, Karlie Kloss and Cate Blanchett, Viviscal is made right here in Ireland. So what are you waiting for – say yes to healthy hair for 2016 with Viviscal. In 2016, Viviscal developed a new approach to hair care to show that the inside matters just as much as the outside with the launch of Viviscal Gorgeous Growth Densifying line. 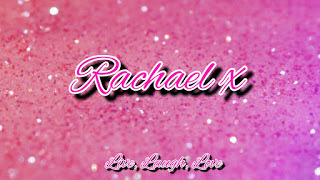 I was lucky enough to attend the event in Dublin where we received the new Shampoo, Conditioner and Serum in the range. Viviscal is the celebrity must-have supplement for thicker, fuller hair. Containing an exclusive Marine Protein AminoMar CTM, along with scientifically proven ingredients Biotin and Zinc, Viviscal promotes and maintains healthy hair growth. Viviscal has been tried, tested and recommended by doctors, dermatologists, trichologists and hair stylists worldwide. To add to the best-selling hair supplement range, Viviscal launches its new ‘Gorgeous Growth’ range of topical haircare products. The new Viviscal range includes a Densifying Shampoo & Conditioner (RRP €11.95 each), Densifying Elixir (RRP €24.95) and Conceal & Densify Volumising Fibres (RRP €24.95). 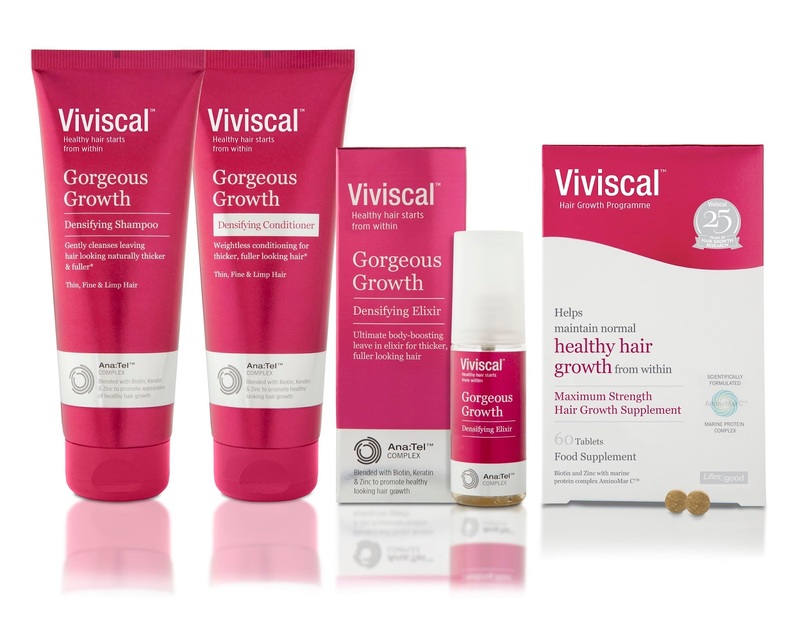 The Viviscal ‘Gorgeous Growth’ Densifying line has been developed with Zinc, Biotin and Keratin which are scientifically proven to promote healthy hair growth, alongside an innovative blend of botanical compounds and Viviscal’s new cutting-edge Ana:TelTM complex. Viviscal Densifying Shampoo gently cleanses leaving hair looking naturally thicker, fuller and gorgeous. Viviscal Densifying Conditioner moisturises and conditions hair leaving it looking and feeling fuller, thicker & gorgeously shiny. Both contain Ana:Tel™ blended with Biotin, Keratin and Zinc to promote the appearance of healthy looking hair growth. The weightless formula conditions hair leaving it looking naturally thicker, fuller and gorgeous. So how did I get on with the shampoo and conditioner first of all. Instructions are to apply to wet hair, lather and rinse. You only need a tiny amount as it lathers really well. It felt luxurious when on my hair and my hair never felt dry using it. I always like to shampoo twice, and then apply conditioner. I then applied the conditioner to my clean mid lengths and end and allowed to sit for a minute or two and then rinsed. When I had finished the hair felt super smooth but felt fuller and thicker. Over three months of use this has really had an effect on my hair. My hair was very bitty and full of split ends. It really started to grow and fill out due to the combination of the shampoo, conditioner and elixir. I don't wash my hair daily, i try to only wash it three times a week if possible. I have since repurchased the shampoo and will be replacing all items when they are gone. At the end of the post you will see the difference in my hair. I had to get it cut to remove any split ends but it looks so much healthier now and is really growing. It is growing so much i find it really hard to keep a colour in it. The sun and heat of the summer season can take their toll on even the healthiest of hair, leaving it limp and lifeless. New Viviscal Densifying Elixir for gorgeous growth (rrp €24.95) is this summer’s must-have body-boosting leave-in hair product to rescue volume and restore super-thick texture. Simply apply 2 – 3 pumps of the lightweight Elixir to damp hair and blow-dry to rapidly plump up for noticeably fuller looking hair or use as a styling aid on dry hair to pump up volume. Winner of the IMAGE 2016 Beauty Award for best elixir Viviscal Densifying Elixir for gorgeous growth is a real summer essential for anyone with fine or thin hair, and is affordably priced to keep locks healthy, strong and thick as possible. 88% of consumers agree the Elixir doesn’t weigh hair down or make it feel greasy* and the 50ml bottle is small and portable so it is perfect to include in your bag for summer getaways, summer weddings, festivals or any other big life event this summer. I love using this little bottle of magic. As I have said i use the three items together and it has made such a difference to my hair. I love my hair now, it is no longer fine and thin, it now has some substance to it, I can feel it on my head. I honestly can't praise these products enough. Check out my before and after below, bare in mind the after is with a hair cut. Viviscal® is available from leading pharmacies nationwide and online from www.viviscal.ie.